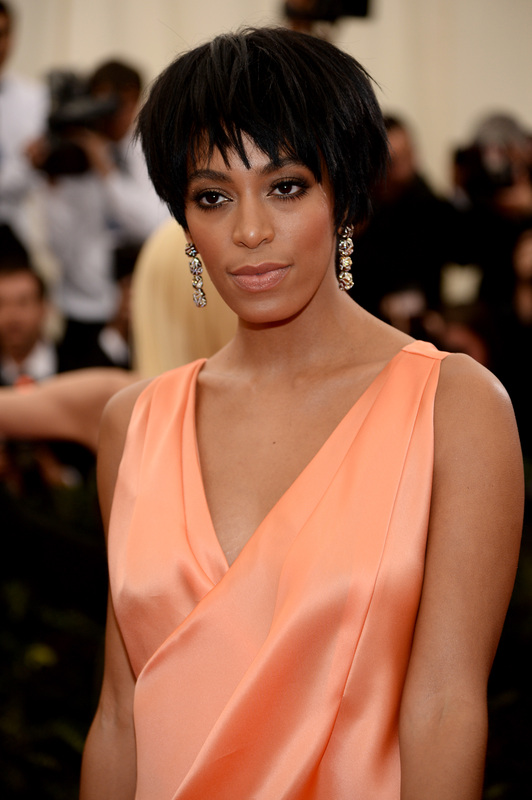 Solange & Jay Z Elevator Fight Video Culprit Has Been Fired, Was It Worth It? Crime doesn't pay, but $250,000 sounds like a lot of money to release a video for. In fact, that's how much the leaker of the Solange/Jay Z elevator video was paid, although we all knew that wouldn't matter much when they were caught. According to the Standard Hotel, the culprit who leaked the Solange video has been fired and further punishments are on the way, both criminal and civil. The name of the person who almost got away with it has yet to be revealed, but the hotel assured everyone in a statement that they would turn over all information to the authorities. Beyoncé, Jay Z, and Solange have so far been going about their lives as if the video had never gotten out, not unlike how they gave no indication that anything had gone wrong in the elevator at the Met Gala before the video leaked, but they'll soon be able to pursue individual justice if they so desire. Just because the world's most famous couple is taking the high road on this one doesn't mean that the culprit is just going to take his money and walk due to a lack of charges being brought against him. Of course, there are parts of this that seem a little too easy. Sure, it's a pretty limited list of people who would have access to the video, let alone be able to retrieve it and pass it on to a website like TMZ, but not even a week has passed since The Standard promised to get to the bottom of this. Did the culprit really take no measures to cover their tracks? Did they want to get caught, figuring interview deals would bring in money that would far outweigh losing their job and facing potential jail time? The culprit should hope that karma doesn't result in the their police report being leaked to the media in the next few days, but, if there's one thing we've learned from Solangate, it's that there's no such thing as privacy in modern America.